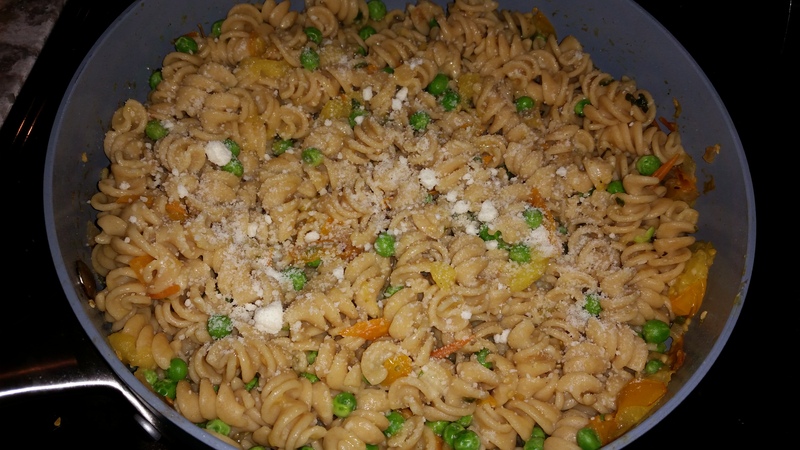 Yellow Tomato Pasta Salad. 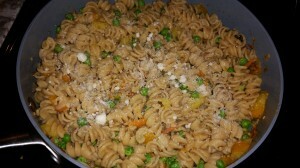 Super easy summertime pasta dish! Looks like we have some canning in our future! We had so many yellow grape tomatoes I didn’t know what to do with them! 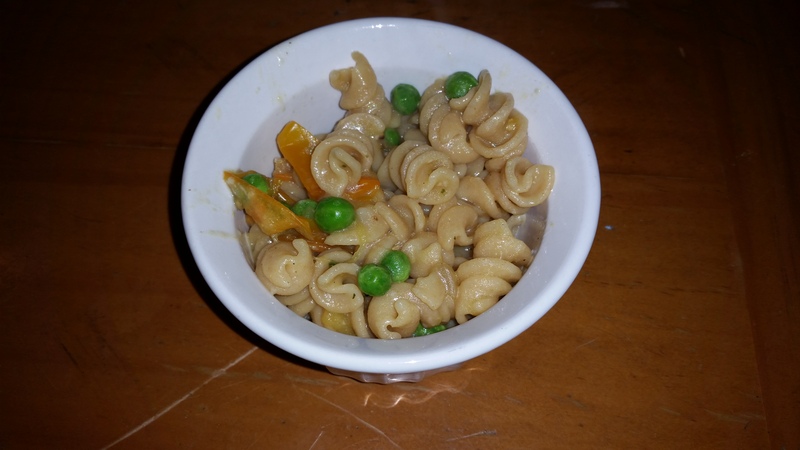 So I looked around and found an interesting recipe for a yellow tomato pasta salad. I made it last week and it was really tasty! 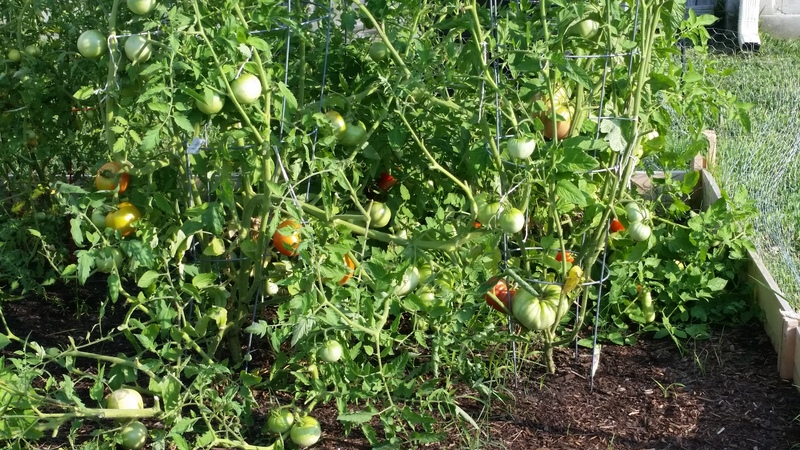 I am sure you could use red tomatoes if you wanted, however, yellow tomatoes have less acid and are sweeter than red ones, so the taste would probably be different! This salad would pair nicely with grilled chicken or steak. You could even take it to a picnic! It was tasty hot, but was also really good cold! Versatile and yummy is a great combo. Plus it was super easy and fast to make! Bring a large pot of salted water to a boil.Heat the olive oil in a large skillet until hot. Add the onion and garlic and saute for 3 minutes. Season with salt and pepper. Add the tomatoes and cook until they burst and cook down, about 5 minutes. Stir in the chicken broth and cook for 5 minutes.Meanwhile, add the pasta to the boiling water and cook the pasta according to the directions on the box. Cook it until al dente (about one minute less than direction on package), and reserve about 1 cup of the pasta water.Add the pasta to the tomatoes in the skillet. Toss well. If it seems a bit dry, add some pf the pasta water, 1 tablespoon at a time. Stir in the peas and basil and toss for about a minute more. Sprinkle Parmesan cheese on top to taste. Mmmm. That recipe looks so good. Looks pretty good! 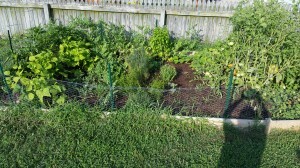 I need to start my own vegetable garden, too! Hi! 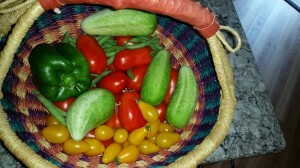 I love the fact that you have your own garden with your own organic vegetables, and it makes me a tad jealous! I try to buy my own vegetables organic as well from a friend that grows organic vegetables commercially, but it must be a lot easier to have a garden like that yourself. 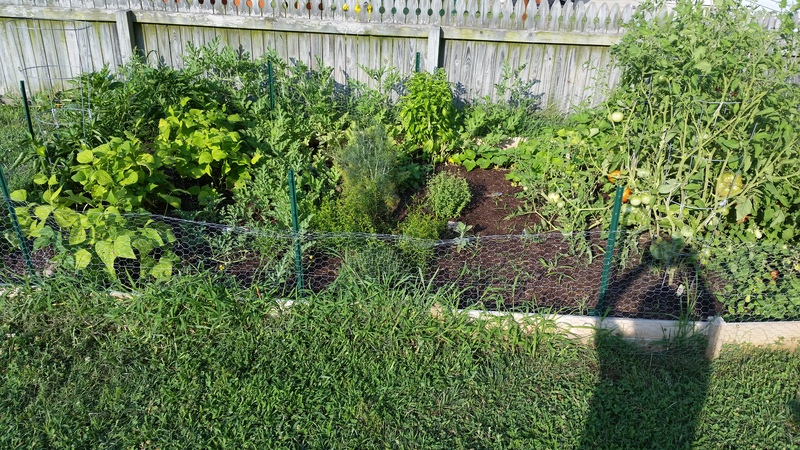 This is probably a really silly question, but what are the plants that are the easiest to tend to as a starter (and for someone who doesn’t have -any- green fingers at all)? I’d love to mix organic vegetables with homemade pasta, maybe in the near future! Thanks for sharing this unique recipe, Carol. I never thought yellow tomatoes would bring an entirely different flavor to a pasta dish before. I preferred including some chilli flakes to make the dish a bit spicy as it seemed too sweet for a spice lover like me because of the sweet tomatoes and the peas.